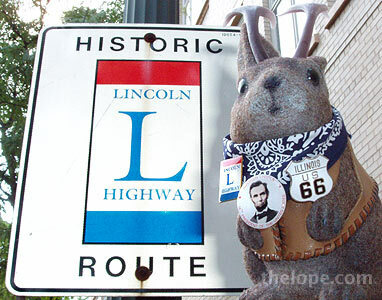 Yep, they named a highway after Abe Lincoln, and a fine road it is. We published a little overview of the route and looked at two good books on the subject in a post called The Lincoln Highway. And for lots of useful news of the Lincoln Highway, check out author Brian Butko's blog, Lincoln Highway News. Just discovered this blog. It's awesome! I'll be sure to check back and see what Ace is up to.